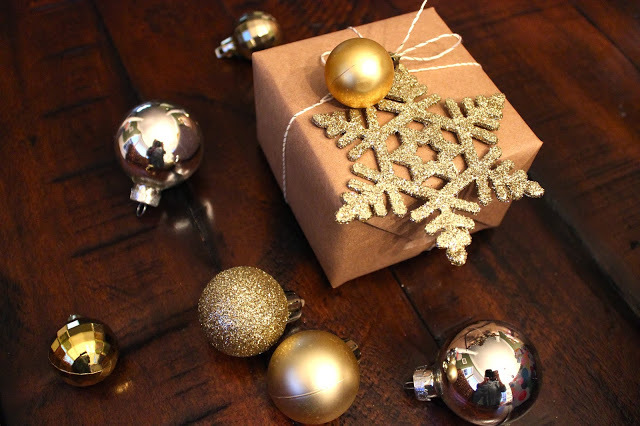 As if receiving a gift from someone isn’t enough to make you feel special already, we think that it takes it over the top when its wrapped with love. 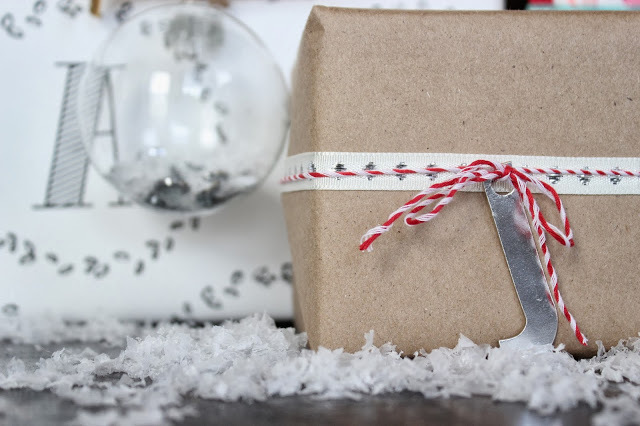 Just knowing that someone really took some time to add a decorative ornament, layer some ribbon to make the perfect bow, or even just writing your name out really beautifully makes it feel that much more special to receive. 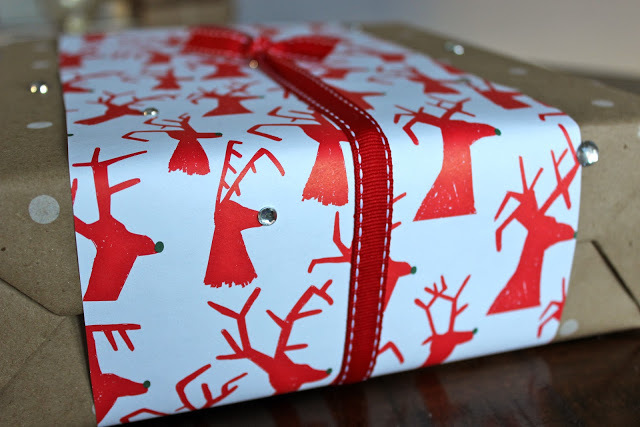 We absolutely believe that what is inside the box is made even better by the wrapping. 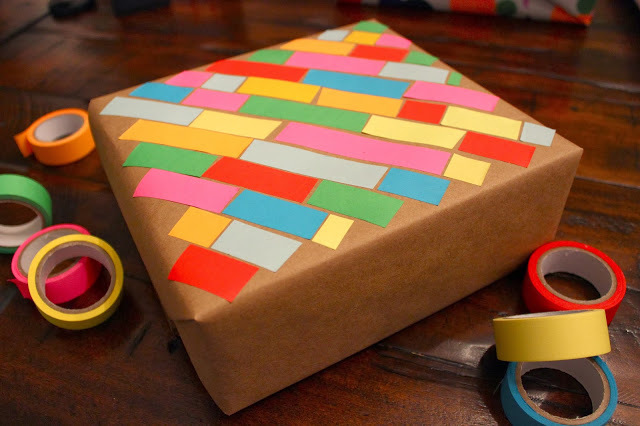 We have some pretty creative friends, and it’s always fun around the holidays to give and receive each other’s gifts! 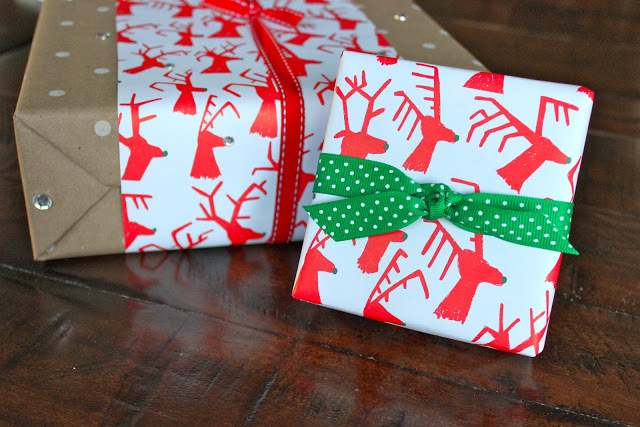 Here are some packages that got a holiday makeover during our wrap party. Believe it or not, postal wrap and baker’s twine go a long way!! So simple, but it looks so stunning. 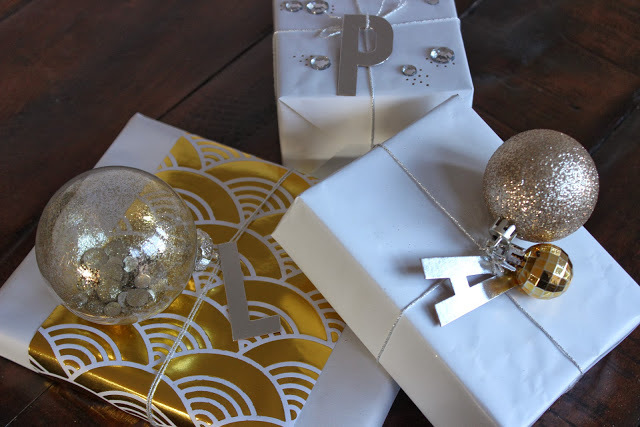 Most of the ribbon we used was found in the Target dollar section, along with some metallic markers and ornament embellishments. We also purchased some clear ornaments to fill with glitter, jewels and snow. They would look awesome filled with confetti too. OBVIOUSLY! Ha! We had so much fun, and highly encourage you to get together with some friends or just members of your family and wrap together! Turn on some holiday tunes and sip some hot chocolate (after your champagne) and make some super special memories. 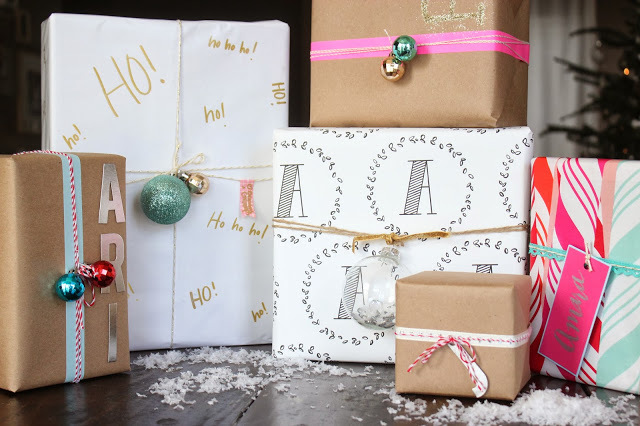 Confetti-filled ornaments, glitter glue, and simple kraft paper makes these gifts pop! 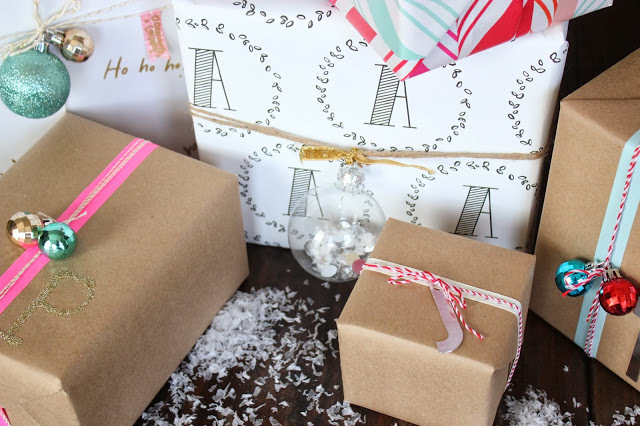 Love this “A” wrap by Rock Paper Scissors! 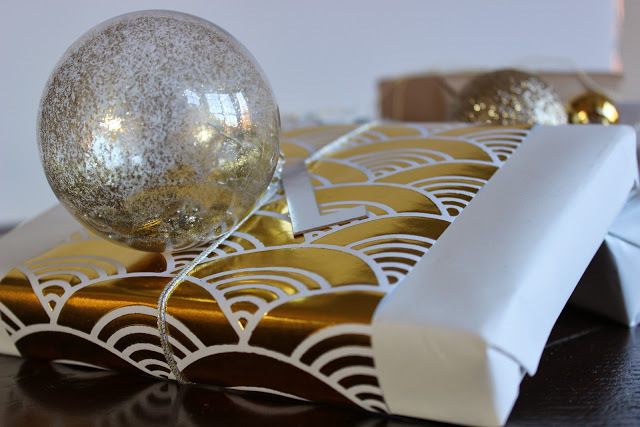 We topped off this Haute Papier wrap with an ornament filled with glitter and jewels. 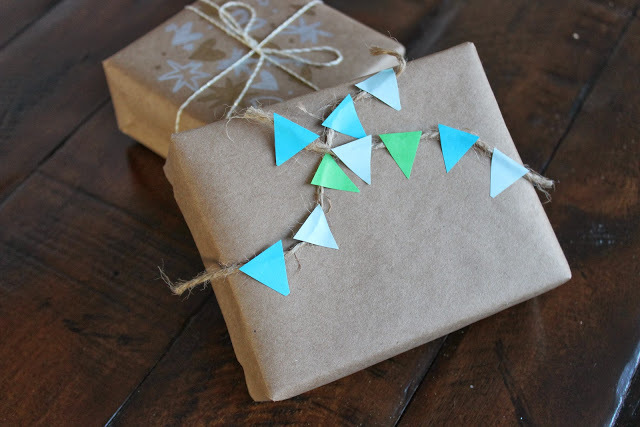 Simple washi tape bunting banner- cut triangles and stick onto twine. Glue jewels to Rudolph’s nose!